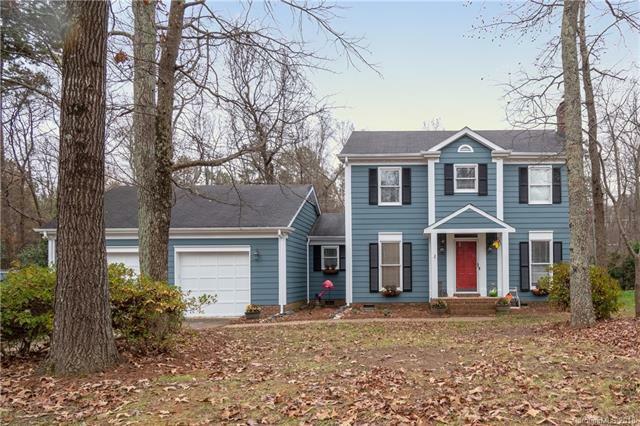 Welcome home to this charming 2 story home in Brownes Ferry! Enjoy the privacy of being on a cul de sac with woods in your backyard, plus the conveniences of being in an amazing neighborhood in Charlotte! Need extra storage?? Then you will love the extra space in this 737 SQUARE FOOT GARAGE! Enjoy the great character of this home with hardwood floors running throughout most of the main floor, granite kitchen counter tops & large windows. The sellers just had the ENTIRE EXTERIOR PAINTED, they also put in a NEW vapor barrier in the crawl space & are providing a 1 year Home Warranty at closing with an acceptable offer!